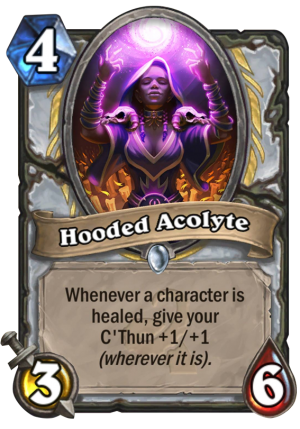 Hooded Acolyte is a 4 Mana Cost Common Priest Minion card from the Whispers of the Old Gods set! 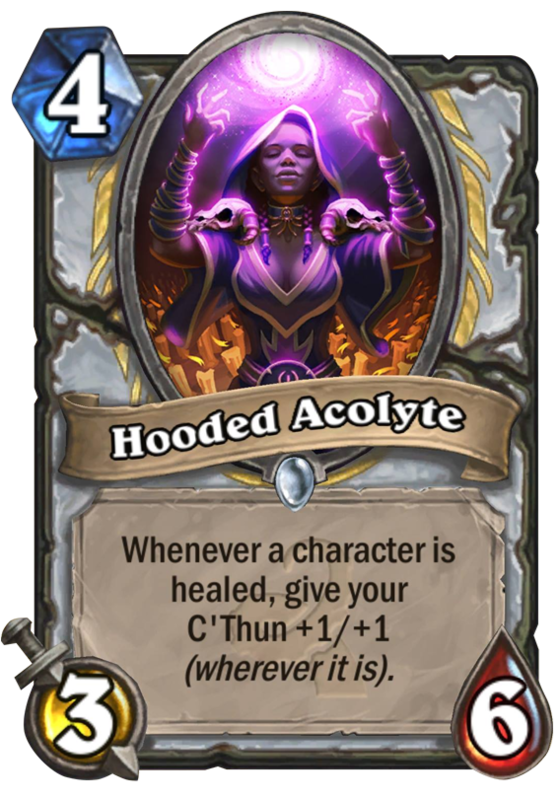 Whenever a character is healed, give your C'Thun +1/+1 (wherever it is). Pyromancer and circle healing with this. It is just a dream…. 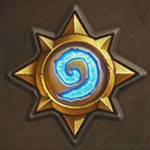 Ever see those games where a priest manages to get a decent board with at least 1 northshire cleric, and has to avoid healing or start to heavily mill their own deck? This way, instead of just filling your hand with 10 reactive removal cards that do not really add up to a win condition, you can supercharge your Cthun for late game lethal. Not very common, and even still, Cthun priest doesn’t make any sense to me, but still powerful. Maybe two expansions later this will make sense.